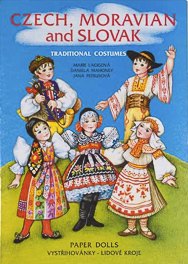 The folk costumes featured in this paper doll book originate from Bohemia, Moravia, and Slovakia. The beginnings of traditional costumes date back about two hundred years and could indicate the region or village of the wearers, their social and marital status, and their religion. 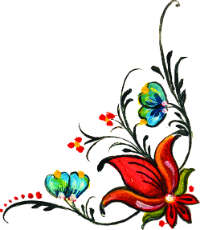 The costumes worn for special occasions were decorated with ribbons and intricate embroideries and are featured in this paper doll book.